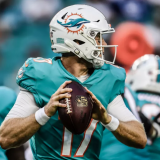 The Miami Dolphins are facing one of the hottest teams in the NFL this week and will need to play a different brand of football if they are to come away with the win against a Carolina Panthers squad that has won six straight games. The first thing Miami will want to do is to turn Carolina into a one dimensional attack. Part of what has helped the Panthers make the leap from 1-3 to 7-3 has been their ability to pick up yards on the ground. They have a deep group of quality running backs headlined by DeAngelo Williams and Mike Tolbert, but what makes their running game even harder to defend is that their quarterback, Cam Newton, can pick up first downs with his legs seemingly at will as he seemed to be doing against the New England Patriots on Monday night. Newton is one of the most talented football players you will ever see, but he is still inconsistent and can be fooled into mistakes. It will be important for Miami to mix up their coverage schemes against the pass in order to confuse Cam and contain him should he decide to run. The Dolphins will need to rely heavily on a defensive line with Odrick, Soliai and Starks. This group is a large reason why Miami’s defense was so good against the run last year and they need to play together in order to keep Carolina one dimensional. When the Panthers do pass, these guys can put pressure on Cam Newton and collapse his pocket, forcing him to get on the move where he should have not one or more spies waiting. A spy is a player whose responsibility is to keep his eye on the quarterback and make a play on him and it is a very effective measure used to contain quarterbacks who can beat you with their legs. 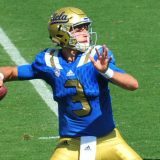 It can also create interceptions as that player is able to see if the quarterback is locking in on a specific receiver. It will not be as simple as having Dion Jordan spy on Newton, because the number one goal is to confuse Newton into mistakes, not just contain him. Defensive ends, linebackers, safeties and even cornerbacks can all take turns keeping their eyes on Newton. 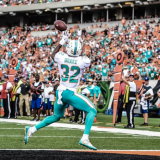 Zone coverage also allows players to keep their eyes on the quarterback, but the Dolphins should play lots of man coverage because they have dependable cornerbacks who can make a play on the ball. It is better to allow the corners the chance to force Cam to throw into tight windows than to schematically create massive windows for him to throw into. The Panthers have an aging, but still dangerous, Steve Smith on their side, but also feature Ted Ginn, who has been a poor man’s Mike Wallace this season. Playing on a minimal one year deal, Ginn has actually outscored Wallace 3 to 1 this season. It will be interesting to see how Nolan Carroll matches up with Ted as he was drafted with the 5th round pick the Dolphins received for Mr. Ginn. No doubt, all cornerbacks would need help over the top, just ask Darelle Revis who was burned twice in one game when they were both in the AFC East. Ginn is coming off of a game winning 25 yard touchdown against the Patriots and will certainly want to stick it to a Dolphins fan base that still uses him as a punchline. Of course, Cam Newton would love to throw to his tight end Greg Olsen early and often, so Dion Jordan has to see his playcount rise in order to eliminate a mismatch in the middle of the field. On offense the Dolphins could use Jordan at tight end in order to create a mismatch for themselves considering they have lost Dustin Keller for the season. In any case, the double tight end set makes lots of sense as the number one priority will be to keep Ryan Tannehill upright. When the team uses multiple tight ends and running backs the offense keeps the defense guessing because it can be used effectively to run or pass out of. 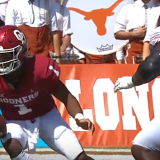 On passing plays, the backs and tight ends could be blockers or receivers and the defense does not know which they will be, creating another advantage. A tight end or a back can even block first and then make himself available to provide a target for the quarterback to throw to. If the player is open, the delayed route could go for many yards. If he is not the quarterback can avoid a sack by throwing an uncatchable ball in his vicinity. The Dolphins would be wise to use a lot of big sets in order to run, pass and play action pass effectively. 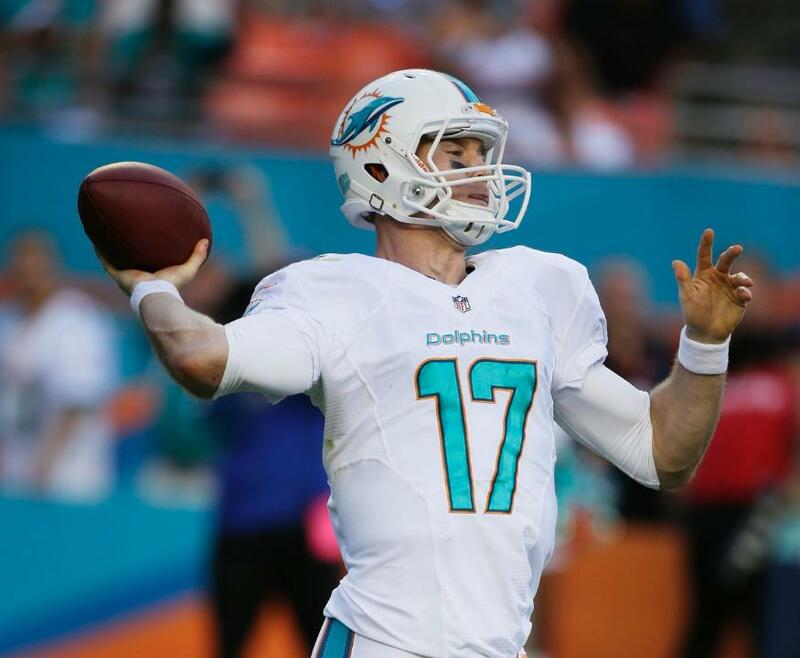 Ryan Tannehill has been encouraged by coach Joe Philbin to relax on the deep throw and let it rip when Mike Wallace is open down the field. This is exactly what he needs to do. He just needs to throw it to a spot that is out of the reach of the defense and allow Wallace a chance to run under it. The team should take multiple shots downfield because Wallace has demonstrated an uncanny ability to get wide open for long gains and the team must aim to score more than 25 points and this is their best bet to find that extra score that could be the difference between a win and loss. Next story Pitiful Picks: Can the Dolphins stop the streaking Panthers?